Cooking is not only a fun, and engaging activity for children of all ages, but also a great way of teaching them concepts in a hands-on manner. 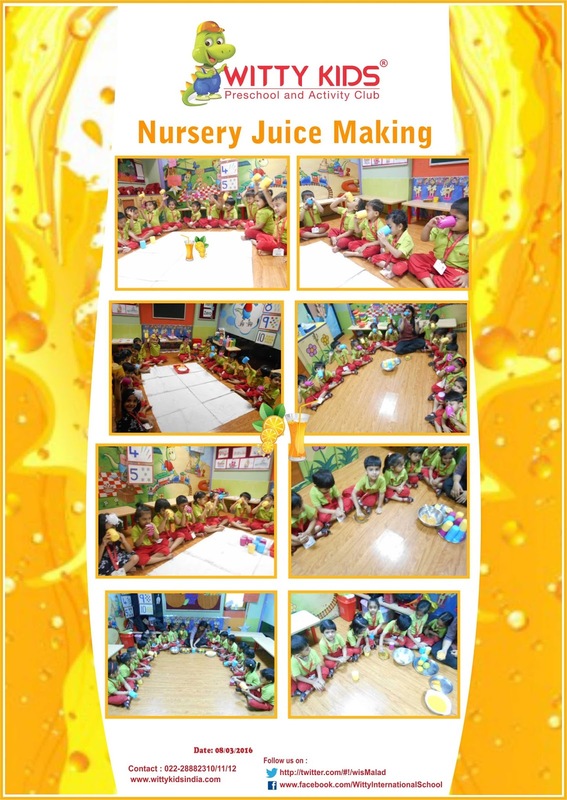 And so Juice making activity took place in Nursery Section at Witty Kids on, Tuesday, 8 March 2016, as a part of introduction to Orange and Sweet lime. Here, children were provided with a small juicer, sweet lime and orange halved where children made juice by squeezing the orange and sweet lime with the help of the teacher. Later they enjoyed drinking a refreshing self made juice and even identified its taste.